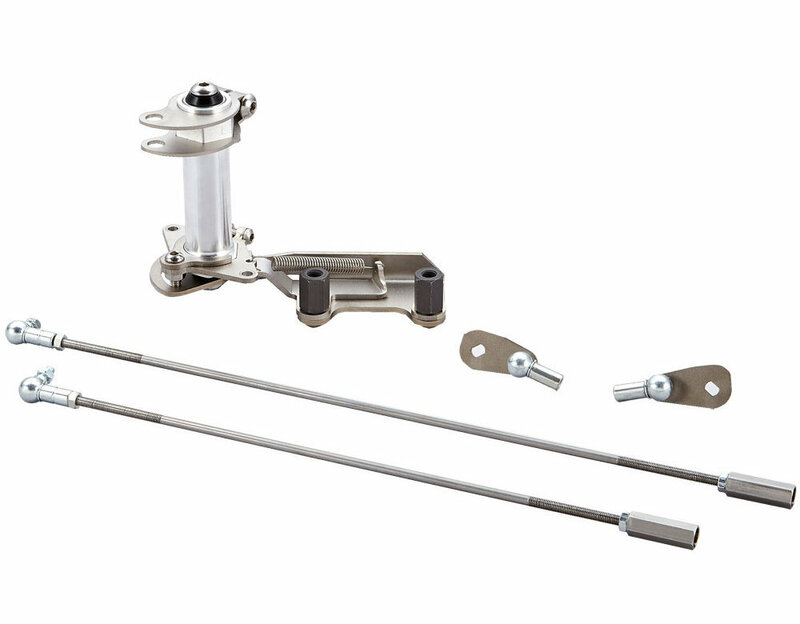 Dual ball bearing linkage with quick release system designed for Type-1 engines with stock VW type fan housings. This pushrod operated system allows quick removal of your carbs without the need to reset the linkage or remove any nuts and bolts. Quick and easy! Dual return springs are included in Kadron sets. The throttle levers supplied with this kit need to be installed at adiffent angile than original Kadron items. Please refer to the instructions included. 1.Special 8mm throttle levers supplied. 3.Does not increase idle speed when engine is hot like some linkages. 4.Fits awide range of manifolds. 5.Dual ball bearing construction on pivot point. Dual return springs are included. 7.Compatible with Vintage Speed air conditioner compressor bracket.